Looking for ways to expand and upgrade site-developing opportunities? In times where we are constantly trying to get creative and inventive, ONE offers to get much bigger. Not a member yet? The time is now. If you are a creative mind, artist, educator or a freelancer looking for new ideas that require less effort to maintain, ONE is your greatest ally. Once you decided to create a website where would you go to look for templates, plugins, and graphics? Imagine that you can get everything right at your fingertips with ONE subscription. Would it be nice to get access to the ever-expanding library of digital assets that can vastly speed up the developing process? That would be a huge, right? Take heart: ONE can do the trick. Now, let’s go beyond the lip service and learn what is ONE, how it works, and how to take action. Want to know how ONE subscription can solve your problems? Now, let’s go through the rabbit hole together. So, there is hardly a secret that the diversity of high-quality products knows no boundaries. 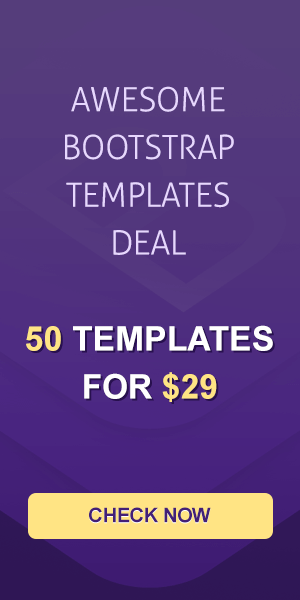 Thousands of website templates & themes, hundreds of plugins & extensions, galore of logos & graphics, just to name a few. Once you decide to create a new web project, significant investment pops up. Sticking to a budget is not always easy, especially if you can’t pay more. 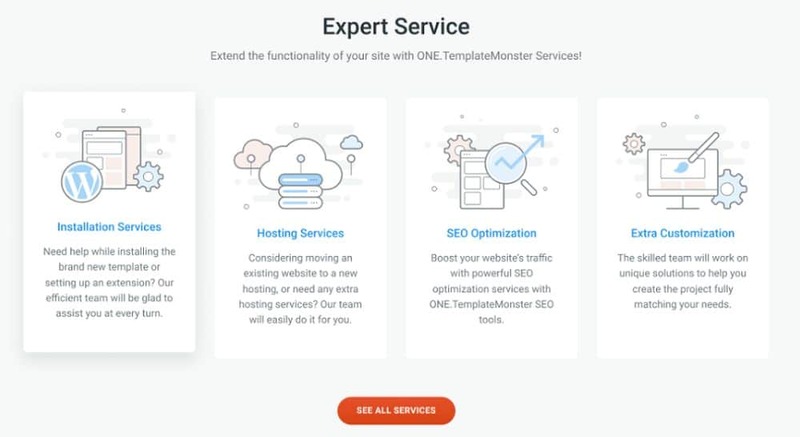 So, you start by picking the right website template and as you move further on the list of necessary tools grows longer. Indeed, you’d like to get the best products on the market up to date. As a result, your website could cost you a fortune. With ONE subscription, this is not a concern for you. 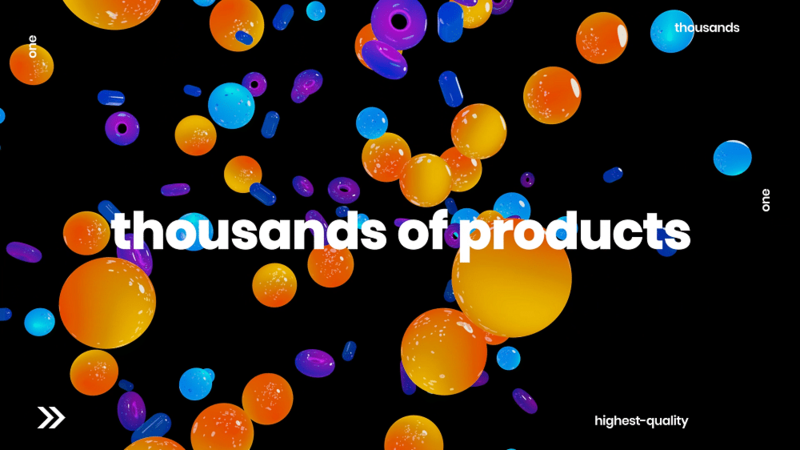 You get access to over 8,000 items that cover 25 product types. 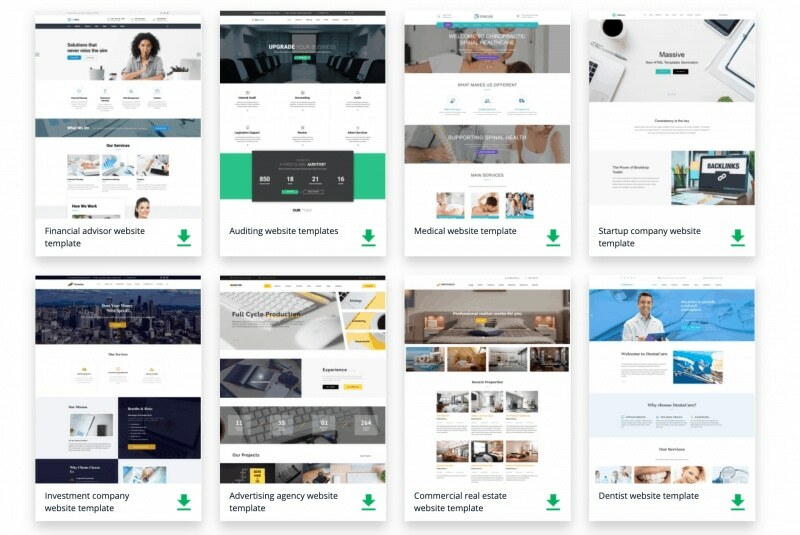 Let’s translate this into practical terms: it means that you will never bother about where to find beautiful, high-quality website templates, how to tweak the overall design of your website, what are the necessary plugins your website can’t compete effectively without. At the end of the day, it means a better result for you or clients which will affect your bottom line. This way, you get a set of go-to tools that help you craft professional designs for less. Remember that you get access to not a static library of aging items, far from it. Instead, get ready to enjoy more than 100 new items every month. Face it, it’s almost next to impossible to know for sure which product will come in handy. Besides, being a creative mind, you don’t like to limit yourself to one product. Getting inventive and creative means experimenting with multiple products to let ideas roll. For such creative minds, ONE subscription can be just the solution. Thus, as long as you keep your eyes open, you can find a product from the top vendors which can be downloaded limitless times. 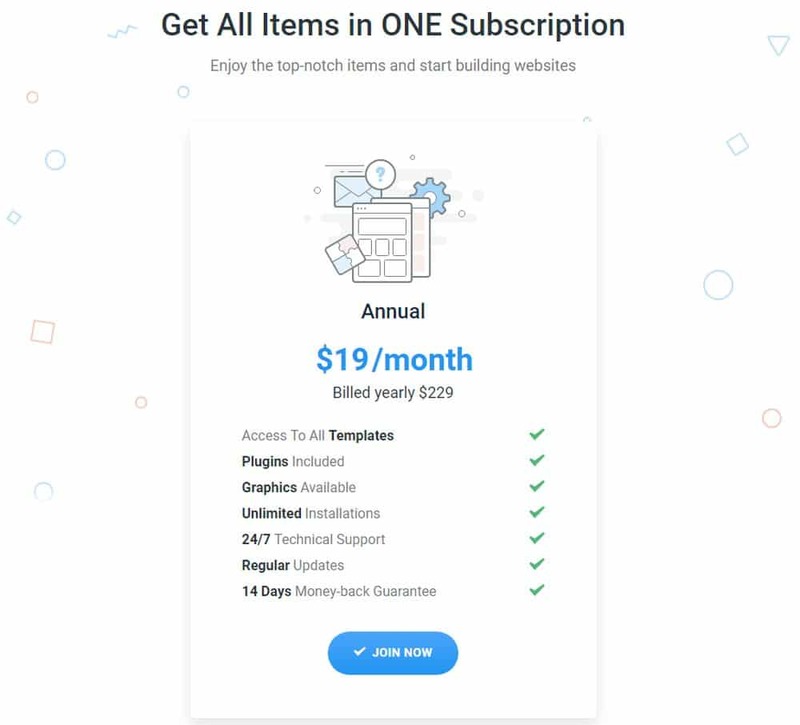 Interesting not only for web developers and business owners, ONE subscription is second to none for millions of newbies. Why? The answer is obvious – support. All products under ONE subscription come with comprehensive technical support, which is often ignored by other services for no good reason. So, no matter how tech-savvy you are, amicable assistance is always at your service. Long story short, ONE subscription is the ever-expanded library of first-class products that match any purpose, business expectations, and other particular criteria of yours. Take time to scroll through the library of products carefully. The more you dive in, the more you get amazed by the diversity of the solutions. ONE subscription is a pot of gold that is hard to pass on. So, why not subscribe right now and enjoy unique solutions for all topics, ages, and tastes? Who Expect to Get the Maximum Response form ONE Subscription? There’s no beating around the bush, ONE is second to none for professional developers. 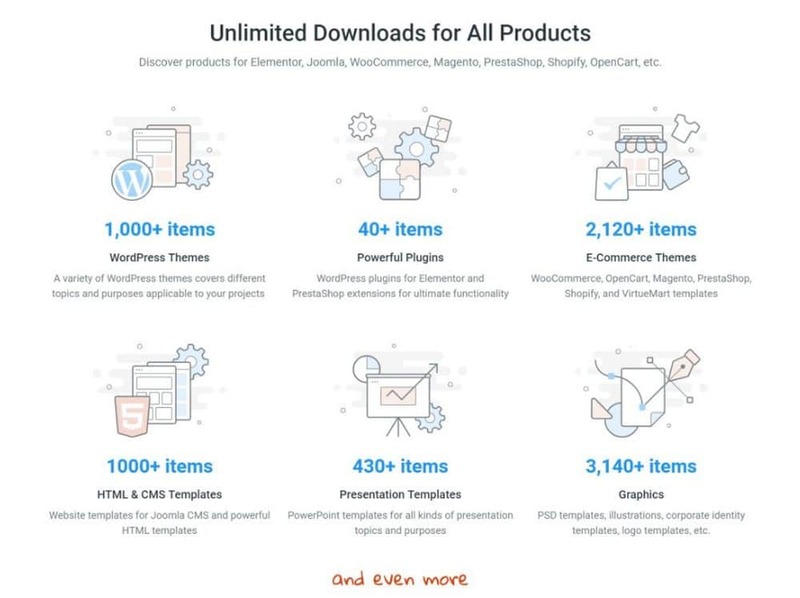 Looking to save time and efforts, you’ll be able to poke around the most functional templates, plugins, and other must-have elements while saving money. In fact, pros are not the garden spot of the world, right? If you are just starting out and need literally everything, it’s hard to find another one service that offers a better solution than ONE. If you haven’t built a website yet, who can help you adjust sails to reach your destination? Who can help you get rid of the diversity of solutions available out there? Forums, communities? It’s hardly a case. serious business owners who make the use of ready-made solutions a priority. As you see, ONE subscription offers you to unlock your opportunities. It offers you to make the best use of its products by simplifying your work and streamlining it big times. How Much is ONE Worth to You? To keep things simple, ONE offers monthly pricing plan which supports unlimited download option. So, forget about any credits or download limits, get everything you need right at your fingertips. Since the official launch, ONE subscription service is set as $229 per year. How much is it? 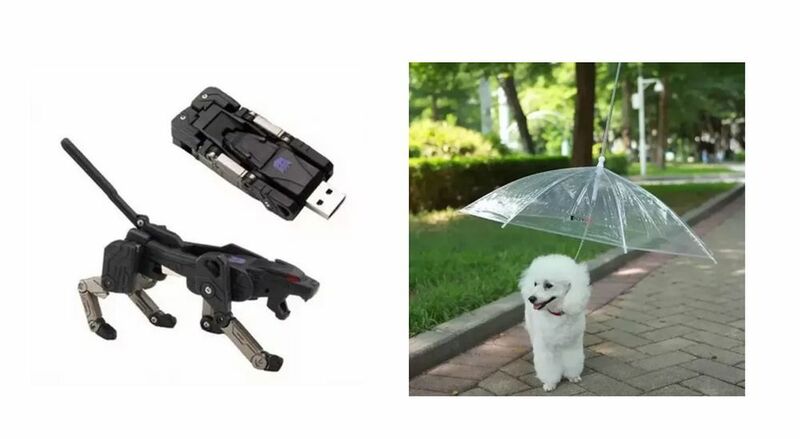 Well, there are many tiny things you can under $20, transformer robot flash drive or Lesypet Pet Umbrella is among them. Yet, chances are slim that any of them can streamline your site-developing work for that price. Can you get a modern WordPress theme with robust functionality and lifetime support for $19? Don’t even try. 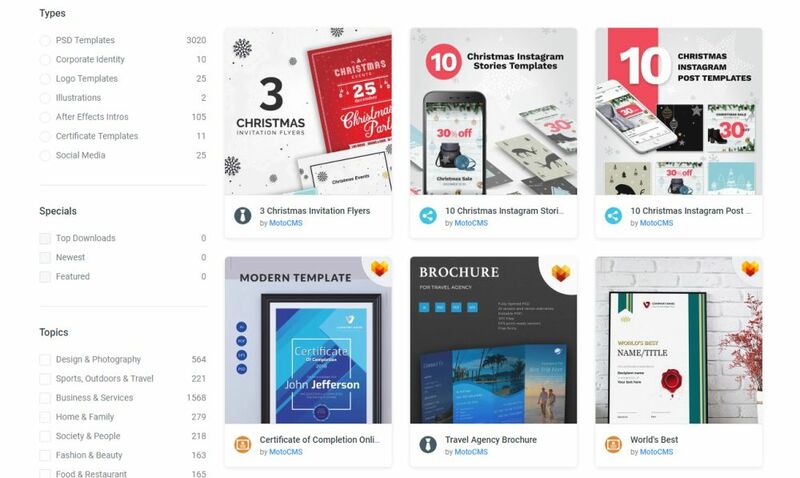 With ONE, for $19 per month, you get access to the galore of first-class themes, plugins, extensions, and graphics that would cost you much higher if bought separately. Once again, for that price, you can pick as many top-notch web products as you need with no limitations in the frequency of downloads. So, paid once a year, ONE subscription service can save you a bundle over time. If you want to give your site professional and more appealing look, then you definitely can’t go wrong with ONE subscription service. This way, you would be able to benefit from the collection of best-selling, and high-quality products that are added on a monthly basis. No matter how difficult your future web project is, chances are the diversity of items jam-packed there will cover all your customer needs. With the focus on functionality, all CMS products fit all kinds of niche websites – blogs, news portal, eCommerce site, and the like. Once you decide to go for Elementor themes, you’ll be blown away for everything that it offers you. So, if you call yourself creative, dare not to go outside the box. Try your hand at Elementor and your site-customization journey will be as enjoyable as possible. How do you plan to extend the functionality of your website without plugins? Don’t pass on a collection of Jet plugins to make it much easier to add certain elements to your site’s pages. As we mentioned above, there are 13 Jet plugins included under ONE subscription plan. Each of them has its own bells & whistles that can solve particular problems. Once you have a problem, be sure there’s at least one Jet plugin ready to solve it. A huge collection of graphics is the cream of the crop for any creative mind involved in the web industry. So, what are you looking for – illustrations, fonts, icons or maybe animated banners? Then make a nice cup of coffee and enjoy the diversity of eye-catching graphics for any occasions. It’s in your own interest to make sure that your website is a cut above the rest. With the stock photos, chances are slim. Found the item you love? Congrats! Now slam the ‘Download’ button and enjoy it. No emails, authorizations or filling forms needed to get the ball rolling. That’s all you should know about ONE user experience. No secret tricks, no hidden fees. Created with the purpose to ease the site-developing process as much as possible, ONE offers you to get everything for building websites at one place. Why ONE Jumps the Queue Ahead of Competitors? There’s hardly a secret that the variety of options on the market for your work abounds. The only difference is the strategy they took to get where they are. One thing that makes ONE a cut above the rest is the uniqueness. Simply put, no other company can offer you the same convenience right off the bat. Don’t even try to download Envato Elements themes for limitless use, you’ll fail right off. Important to note that the number of downloads is strictly limited and most popular product are not available for subscription. The choice is yours, indeed. But with ONE, everything is different. Enjoy the best-selling items available for unlimited download number and have no impediment on your way to success. In times when beautiful ready-made solutions pop up like mushrooms in the rain, finding the right one can be a pain. The last thing you want is to be left alone and get lost in this shuffle. Fear not, ONE can get you out. No matter what you struggle with – template installation, website security, speed tweaks or customization details, ONE is your greatest ally. Its amicable customer support is what makes the difference in your site-building journey. Go and check other similar companies for the tech support they offer. How do you prefer to solve your problem via telephone call, text chat or ticket? All options are available under ONE. What is your favorite item in the list of things you’d like to do, see and accomplish? Well, today is the day to make your dreams a reality. Enough wasting time staring at a screen for hours for nothing. So, get everything you need to build a modern website like a pro for a modest price. What you’re stuck on in a project that is keeping you from moving forward? Maybe the lack of design concepts, poor plugins functionality, or stock images that look the same? Do one extra thing that gets you to where you want to go. Subscribe to ONE service to get all the help you need at one place. Looking for the must-have developers subscription service? You’d be surprised how much ONE can offer to your capabilities. It’s the investment which can help you increase your performance big times. First-class website templates & themes, premium plugins & extension, eye-catching graphics & elements, what else could you ask for? All in all, the choice is yours. Yet, you don’t know how much it can help you until you try it.